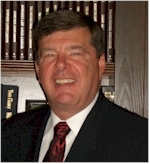 Mr. Randy McKee is an operations and sales leader who started new companies and stores and turned around regions and locations in retail electronics, entertainment, financial services and consulting industries for Blockbuster, Radio Shack and smaller companies. Pioneering an alternate format and store-in-store concept, he maximized market penetration. Randy built a nationwide infrastructure for regional territories and management teams, providing accountability, and he grew a national dealer/merchant network, enhancing exposure and opening access to new customers. Directing critical relationships with lending partners, vendors and military leadership, he delivered services and drove double digit increases. He standardized operations and service by franchising processes and procedures and created the first high profile national marketing program with Team Marines – NASCAR. An energetic leader of highly productive teams, Randy delivered strong turnaround performance and fast-paced growth and he introduced positive changes that benefitted companies, stakeholders, clients and associates. A tireless promoter of organizations, Randy guided organizational performance and behaviors through promotion of personal integrity and business ethics.